Tiffany Clayton is a paralegal in the firm’s litigation practice group. 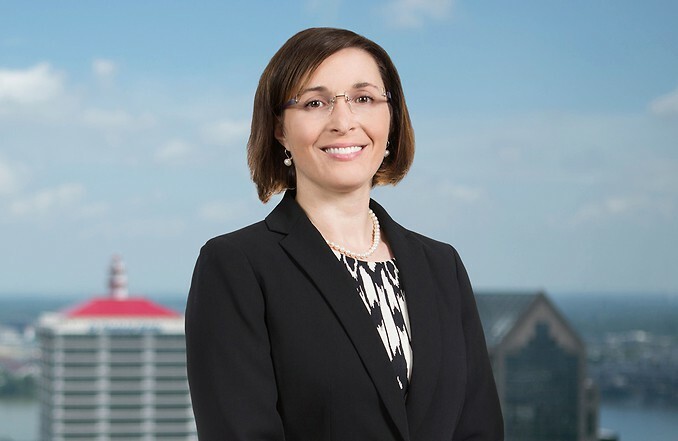 With over 18 years of experience, she has been involved with a variety of litigation matters including, real estate, corporate and securities, breach of contract, employment, shareholder and partner disputes, non-competes, education matters, and patent and trademark matters. Tiffany assists with all stages of litigation ranging from early case assessment to trial and appellate proceedings. Her ability to organize, manage and review voluminous document productions/databases has been an invaluable asset especially with complex litigation matters and class action lawsuits. Assisted in matter Middleton Reutlinger successfully defended large law firm against $80 million dollar claim of former client for negligence in litigating a contracts dispute. Assisted in matters defending Kentucky school districts against Office of Civil Rights (OCR) complaints and Equal Employment Opportunities Commission (EEOC) complaints filed by employees and on behalf of students. Assisted in matter defending Kentucky school districts against Title IX claims for academic and athletic opportunities. Assisted in matter defending a Kentucky oil transport company in a multi-million dollar dispute brought by the former owner over the company’s stock ownership, and successfully obtained summary judgment for the client as the rightful owner of the company’s stock. Assisted in matter representing individuals and corporate entities who developed and managed low income housing tax credit properties throughout Kentucky against claims of breach of contract and breach of fiduciary duties by state and national financial institutions, who were the lenders and investing limited partners in the property projects.